$28 and we'll get you on the right road. Need a Tech Check and Report? Raise your standard with Australia's No.1 suspension specialists. Book a $28 Tech Check & Report today at your closest Pedders store. 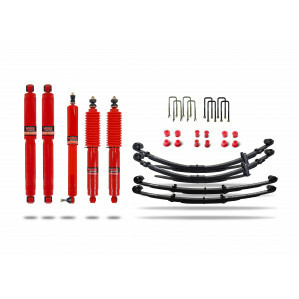 This kit is primarily designed to reinstate the ride height to as new with a minor enhance of up to 1.25” (30mm). The Expedition Kit will also improve the braking and steering of the vehicle when towing, provided you have a weight distribution tow pack fitted. Get it fitted by Pedders and get FREE DELIVERY! All products purchased online and fitted in store receive a Free Tech Check & Report, valued at $28. Would you like this product fitted? To get a quote on your fitting click here. You will get a quote within the next working day. 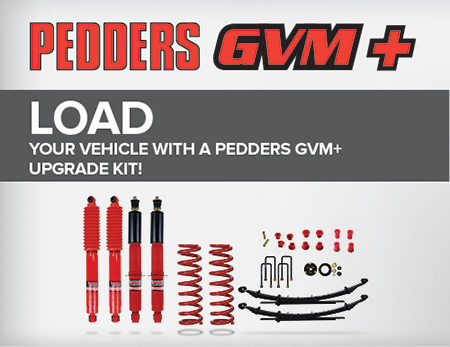 Every purchase of a Pedders Kit comes with $100 off fitting at a Pedders store. This also includes free delivery. Compatibility: For vehicles used as the primary towing and/or load carrying. Ideal for carrying heavy loads, towing horse floats or caravans and have the odd weekend of fun in the bush. This kit would be suitable for vehicles fitted with a nudge bar with driving lights, standard wheels and tyres and general equipment such as a fridge or tool box, but not excluding vehicles with extras such as: roof racks, long range fuel tanks, a rear drawer storage system and tool boxes. Call request has been submitted successfully. Our support team will contact you soon. Thank you for your request. 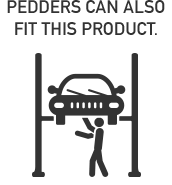 We will contact you within the next 1-2 working days with your official quote. Please continue with your product purchase. 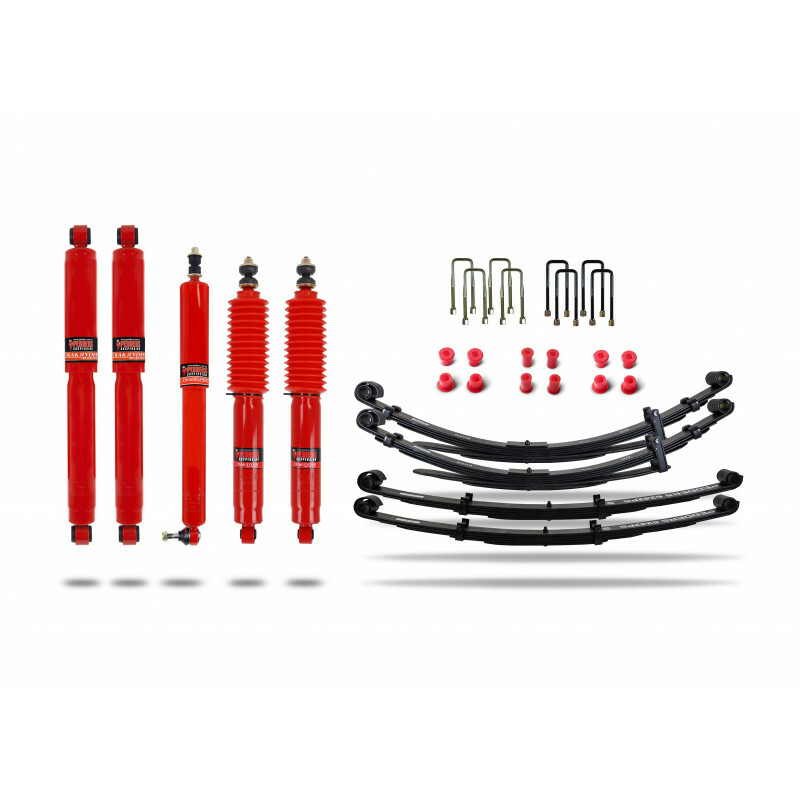 Take your car to the next level in performance with suspension, brakes, shock absorbers, springs, power steering and more from Pedders Suspension. As Australia's number one chain of under car specialist stores, we offer an extensive range of products and services for all vehicles including passenger vehicles, 4WDS, light commercials, trucks and performance vehicles. We also offer a unique Tech Check & Report that leaves nothing to chance. Our expert technicians and mechanics carry out a comprehensive check that shows the current status of all-vital suspension and steering systems. Consider having a Tech Check & Report today, and contact your local Pedders store.